The Ready-Use™ and Dry-Nights™ all in one (AIO) from Easy Peasies® was designed to suit the needs of older babies, toddlers, and overnight use. You can starting using this diaper at around 2 months (or 12 lbs) for optimal fit, and up to 5 years (55 lbs). With our expandable absorbency system, this cloth diaper allows you to add in or remove the optional snap-in inserts. Without the snap-ins the built in 3-ply hemp core acts as an excellent lightweight wetness protector for potty training that will let your toddler know when they’re feeling wet. 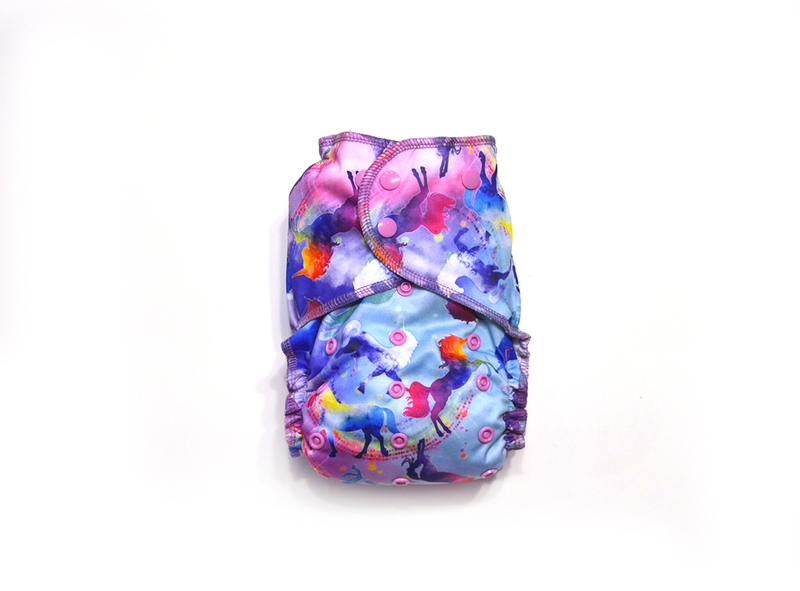 The rest of the diaper is lined with the same cozy fleece as our pocket line in both the shell and the gusseted booster, so it will always keep your baby feeling dry and comfortable. Each diaper has 3 layers of hemp/cotton blended jersey sewn right in and the snap in gusseted booster has 3 layers of bamboo sewn into the bottom. The 3 ply extra long snap-in booster folds lengthwise making 6 layers when folded. Bamboo absorbs quickly and requires limited prepping. All together offering the winning combination of 12 layers of bamboo and hemp wrapped in our famous super-stretchy waterproof PUL fabric. In the front you will find 3×5 rise snaps giving you added space to boost absorbency or accommodate your growing little. The waist has 2 rows of 20 snaps and double crossover adjustments to maximum fit duration.